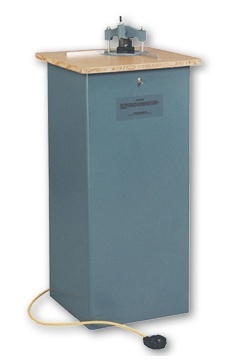 The Tamerica Duracoil Plus Coil Binding Machine can punch and bind up to legal size. It comes with an easy-to-follow coil binding guide, pre-set disengagable dies, side margin control and margin depth guide. The Tamerica Duracoil Plus is designed to punch legal-sized documents and larger, thanks to its open-ended designs. While it won’t insert the coils for you, it does come with a simple coil binding guide that makes insertion fairly easy. The unit can handle up to 20 sheets at once and is ideal for institutions, offices and small shops doing small binding runs. The Tamerica Duracoil Plus Coil Binding Machine costs $284 at Lloyd’s and comes with a 1-year warranty from the manufacturer. You can opt to purchase an extended warranty from Lloyd’s of Indiana for 15% of the purchase price for a 2-year warranty or 20% of the purchase price for 3 years. For more information on the Titan Tamerica Duracoil Plus Coil Binding Machine or to place an order, please visit the Lloyd’s website.